Morocco has formed a state entity since the 9th century CE, although its boundaries have fluctuated over the centuries. In earlier periods it formed part of a large Arab empire, stretching across the Arab Peninsula and the Levant to Spain. Earlier still, Morocco was subject to Punic, Roman and Byzantine rule. 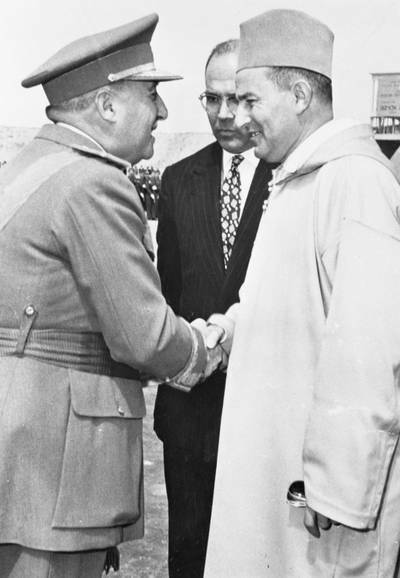 After years of struggle for indepedence, the Kingdom of Morocco was formally proclaimed in 1956, ending the French-Spanish colonial dominance since 1912. Since then the monarchy has pursued a foreign policy which is strongly orientated towards the conservative Arab states, as well as Europe and the United States.